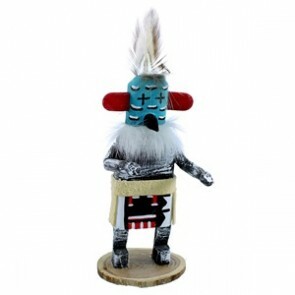 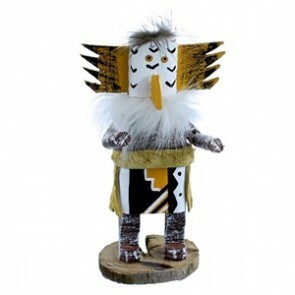 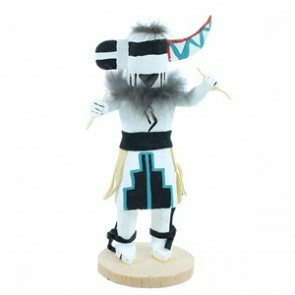 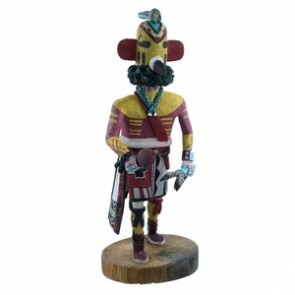 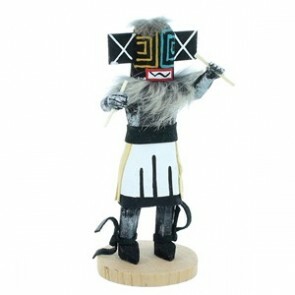 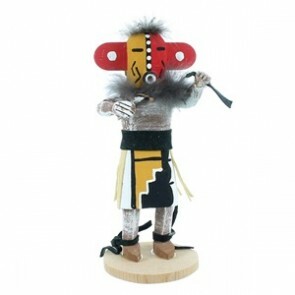 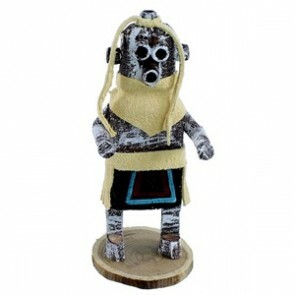 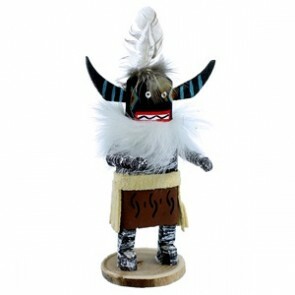 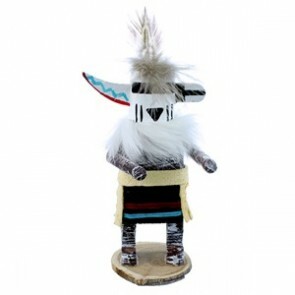 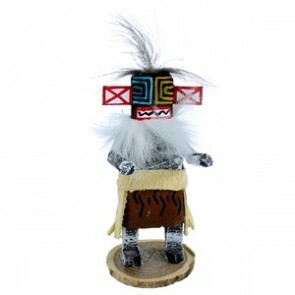 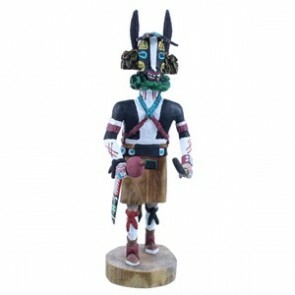 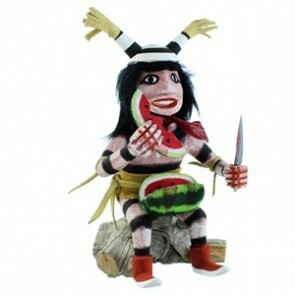 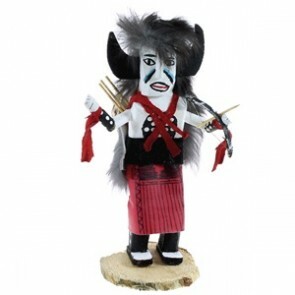 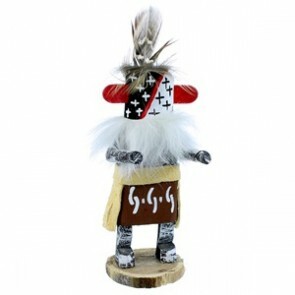 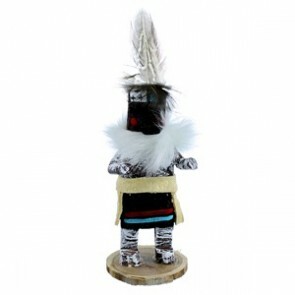 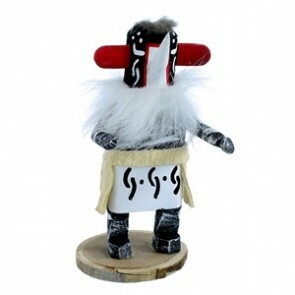 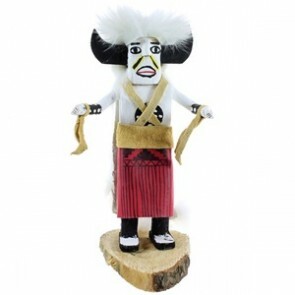 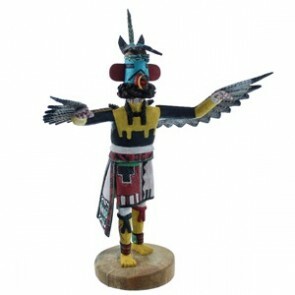 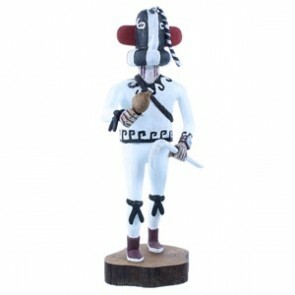 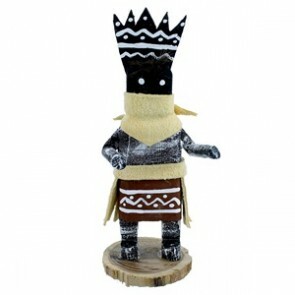 The Kachina Doll is a wooden carving that embodies a spirit or belief. 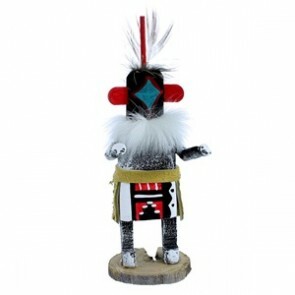 The Hopi tribes of the west were the first to create Kachina, carving and decorating the dolls to resemble deities and other members of the spirit world. 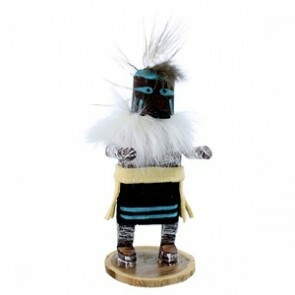 A Kachina Doll is most commonly carved into a human shape from Cottonwood root, and is then painted and adorned with various cloths, jewels, and (faux) feathers and fur. 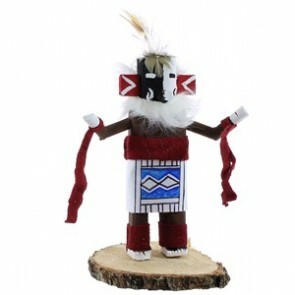 Each Kachina Doll is unique and represents a belief, cultural symbol, spiritual being, or meaning. 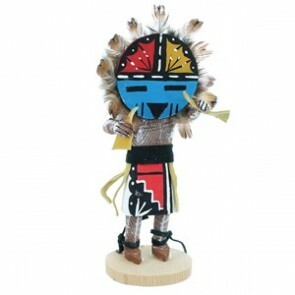 The Kachina Dolls have been used as pieces for prayer, trading commodities, and as a way to communicate with those in the spirit world. 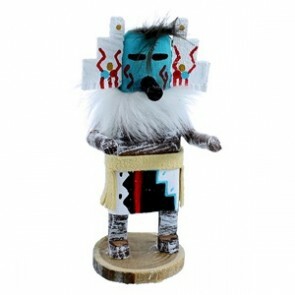 Today, Kachina Dolls are still used in ceremonies and sacred activities, but they are also a way for Native Americans to share their culture by creating Kachina specifically for sale or display. 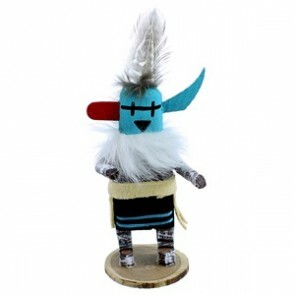 Still, each Kachina Doll is unique.